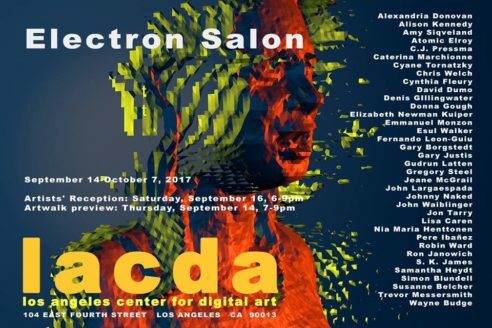 My work “Faces of the EGO” will be exhibited at the Electron Salon in LACDA Los Angeles !! Exhibition dates: September 14 – October 7, 2017. Reception and opening on saturday, September 16, 6-9 pm ! !